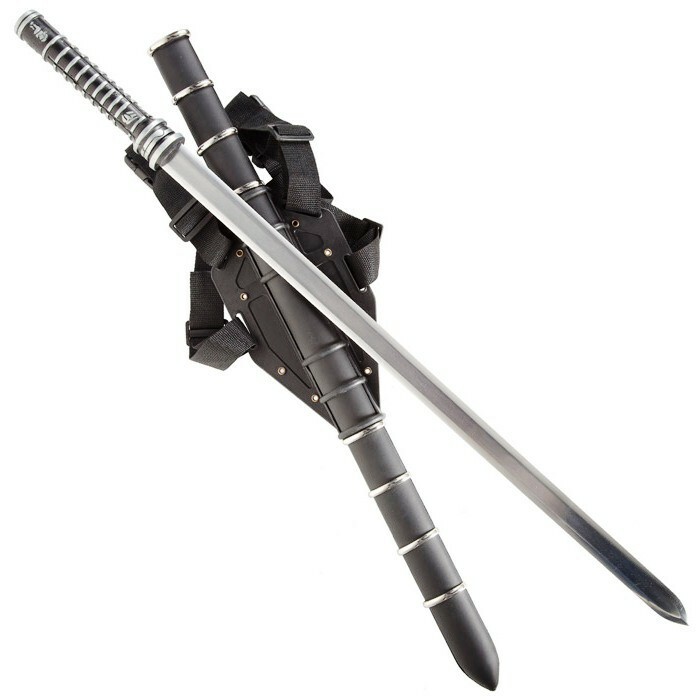 The ninja sword vampire hunter was modeled according the sword of the Daywalker from the movie Blade. The sword can be worn on the back and it has three quick releases, the nylon straps can be adjusted. 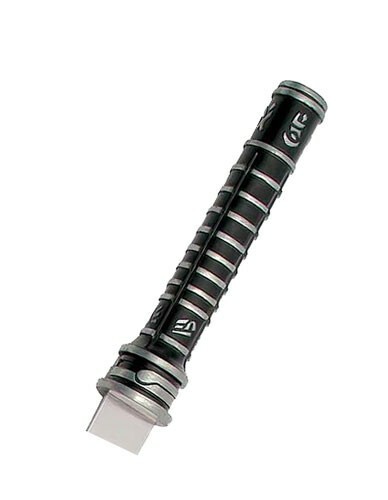 The scabbard is made of wood, is covered with leatherette and has silver fittings. The sword vampire hunter including a blowpipe with 6 arrows. It is a decoration, it's not for practical use. 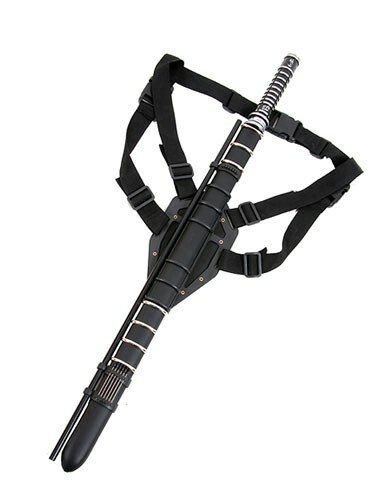 Included in delivery: Sword, Saya, a carrying device for the back and a blowpipe with 6 arrows.